Time to get comfortable in the sofa and spin some vinyl, because this Saturday it's time to start reading Springsteens new autobiography BRUCE by Peter Ames Carlin. It's the first official biography in 25 years, and it's written with Bruce's participation. The author has gotten facts from Bruce himself, family, friends, bandmembers, exgirlfriends and so on. 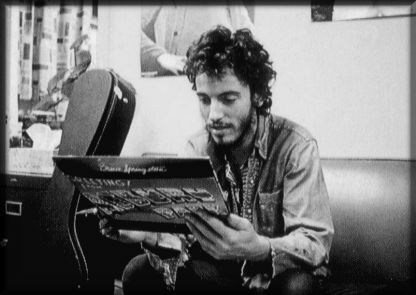 Bruce Springsteen is one of the biggest names in rock, and the musicbusiness as a whole. What he has achieved, very few artists have. How about 20 Grammys, two Golden Globes, one Oscar, more than 120 million records sold and worldwide sold-out tours..? Really looking forward to this book, to get a look into Bruce's working class background and his way to the top. In some ways Bruce is the american dream personified, which gives him every right to criticize the country he lives in the way he's done over the current economic crisis.